Statements made by officials in the days after the incident revealed little-known details of a “law enforcement portal” through which agencies can ask for Facebook’s collaboration in emergencies, a feature of the site that remains mostly obscure to the general public and which has been criticized following Gaines’ death. A demonstrator live streams the march on Facebook Sunday in Union Square. It’s not the first time Facebook has become the stage on which violent encounters between law enforcement and residents play out — and it seems likely more and more such incidents will be documented on the social media hub, given that the company’s livestreaming app, Facebook Live, is only nine months old and spreading at a time when recording police has become an instinctive reflex in some communities. Gaines herself had filmed her interactions with police before, even instructing her son to do the same.But while it’s common for police to ask Facebook to provide them with users’ information, many observers are troubled that the social media giant would take down accounts at the request of law enforcement. So far, Facebook seems to have struggled with its role at the heart of the national conversation on race and policing. Just last month, the site removed live video posted by the girlfriend of Philando Castile, a 32-year-old African-American man who was shot during a traffic stop in a suburb of St. Paul, Minnesota. Castile’s girlfriend, Diamond Reynolds, started livestreaming and narrating his death seconds after police shot him, garnering nationwide attention. On that occasion, Facebook said the video’s disappearance, which lasted about an hour, was due to a “technical glitch.” It later reinstated the post, with an added graphic-content warning, and the video has since been viewed 5.7 million times. Then last week, before Gaines was killed, Facebook deactivated her accounts in response to a request by Baltimore County police — drawing criticism that it censored free speech and even accusations that it was complicit in her death. The accounts have since been reinstated, but most of the videos have not. “Facebook is acting as a part of the problem,” she added. Facebook is a private platform — which means that the First Amendment does not constrain what it chooses to censor. One officer then “kicked the door forcing the door open” and another entered the apartment and saw the woman, later identified as Gaines, holding a shotgun, the warrant states. She pointed the shotgun at an officer and told them to leave, police wrote in the documents. The officer left and called for backup. But police weren’t just watching Gaines through her door; they were also following her on social media. Selections of legal process request. At a press conference the day after her death, Baltimore County Police Chief James Johnson confirmed the department had asked Facebook to deactivate her account while the standoff was still ongoing — “in order to preserve the integrity of the negotiation process,” he said, and for the safety of the officers involved and Gaines’s son, who was in the room with her and was also struck and injured by police fire.“Ms. Gaines was posting video of the operation as it unfolded, and followers were encouraging her not to comply with negotiators’ request that she surrender peacefully,” Johnson said. He added that it took Facebook nearly an hour to deactivate the account after police filed a request through a “law enforcement portal” available on the site to verified agencies. The content on Gaines’ social media accounts has not been deleted. BCoPD has filed a request with Facebook to preserve this content as evidence. A search warrant will be obtained to obtain these records. Law enforcement officials do not have the ability or authority to deactivate social media accounts on their own. 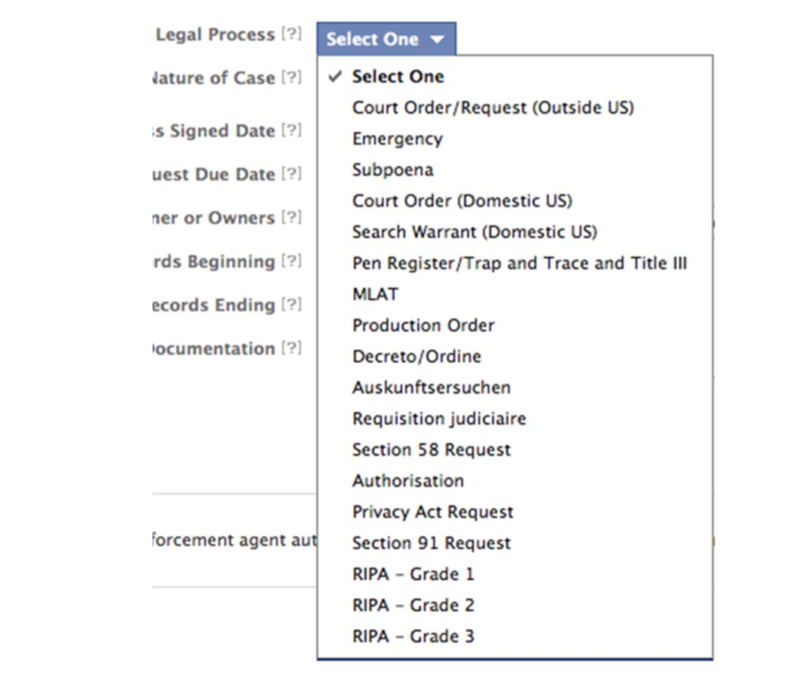 Facebook maintains a law enforcement portal through which police request assistance. This portal includes an “exigency” option for emergency situations like the one yesterday. BCoPD applied for the exigency deactivation because of a barricade situation involving an armed subject with a child.Facebook evaluates law enforcement requests and determines what action will be taken. A Facebook spokesperson confirmed to The Intercept that the company removed the videos, and stressed that they were never Facebook Live streams and that Gaines’ account was back online and “memorialized,” (The company offers a special feature to preserve the accounts of the dead.) The spokesperson said, echoing the claims of the police that Gaines’ followers were encouraging violence, removing the videos was a means of preventing “physical harm or death.” With the videos now removed, this is a difficult claim to analyze. 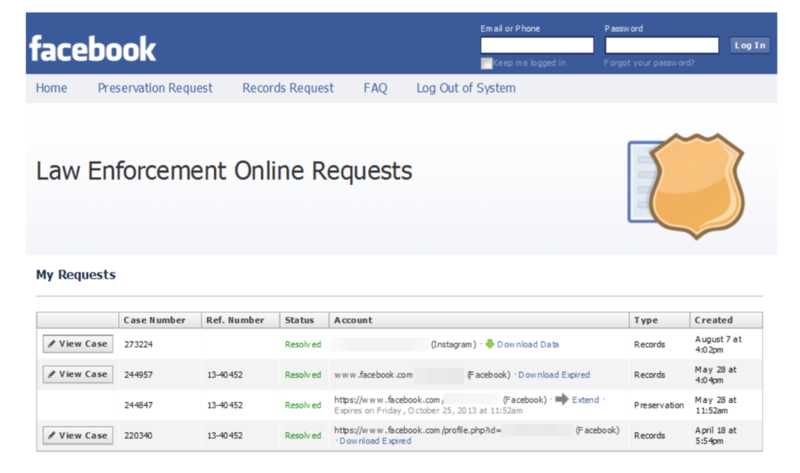 Law enforcement online request system. An “unofficial guide” apparently created by the Sacramento County Sheriff’s Department to help officers navigate Facebook’s portal, and first discovered by The District Sentinel, goes into greater detail about the process — although it also focuses on information disclosure, rather than deletion. But while it’s no secret that law enforcement is increasingly relying on social media to conduct investigations and build cases, shutting down accounts presents a different set of questions. Even though Baltimore county is in the process of implementing a new body camera program, none of the officers involved in the standoff were wearing one. 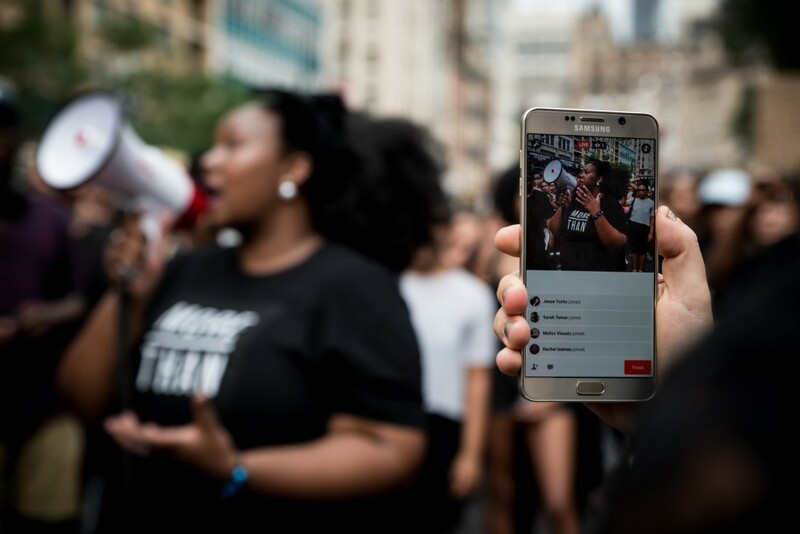 “In general, social media companies should be very hesitant to comply with law enforcement demands in a manner that might circumvent a citizen’s first amendment right to record interactions with the police,” she added. Some have called for Facebook to instate a public editor to review users concerns about civil rights issues, and many are demanding greater transparency about how, when, and why Facebook decides to comply with law enforcement’s requests.